Barbree writes about Neil's three passions - flight, family, and friends. 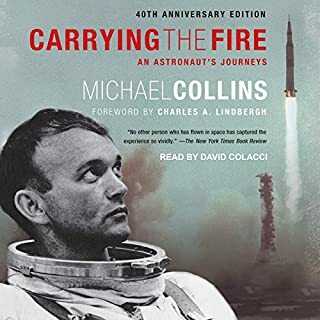 This is the inside story of Neil Armstrong from the time he flew combat missions in the Korean War, to when he saved his Gemini 8 by flying the first emergency return from Earth orbit, to when he flew Apollo 11 to the moon's Sea of Tranquility. 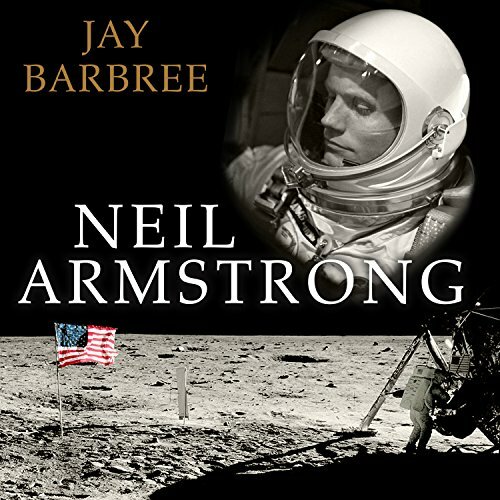 Through his friendship with Neil and his dedicated research, Barbree brings us the most accurate account of his friend's life, the audiobook he and the famed astronaut planned together for 20 years. I was very aware of Neil Armstrong but didn't know much about him. This book was written by one of closest friends. He was a very humble man and did not like to be in the spotlight. 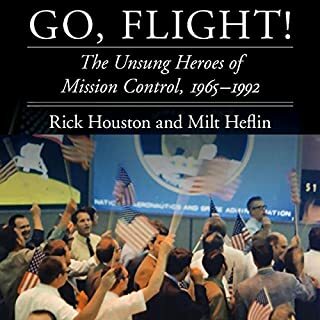 The info in this book was wonderful and informative, but you don't have to be a rocket scientist to understand what was happening. I laughed and cried. I am buying it for my 12 year old grandson. It's that good. I've listened to it twice already. For any History Buffs but especially for those who love the History of the "Space Race". There are some interesting things here that are new for me. And I thought I had read all there was to know about the subject. 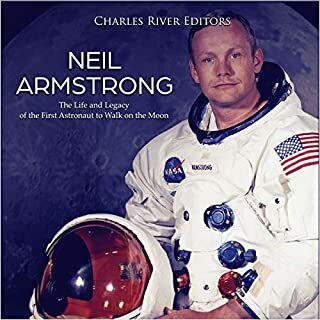 Who better to write Neil Armstrong's biography than a trusted friend and NBC space correspondent who knows NASA like the back of his hand. Armstrong has been a hero of mine for decades, and I have read everything about him I could find. But Barbree's personal relationship with Armstrong provides fresh insights throughout. I listened to the audio, and will definitely buy the book which will be among my all time favorites. Highly recommended! Good book but I wanted to understand Neil and his life and childhood etc. Good book but I wanted to know more about his relationships. Things that would help you understand this man. I wanted to know more about his relationship, or lack there of, with Buzz Aldrin and Mike Collins. 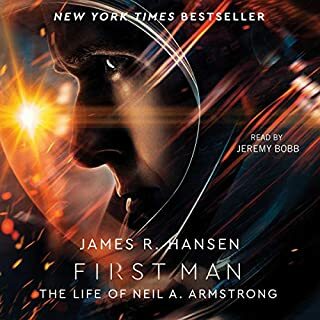 As someone that wasn’t alive when these events happened the book does a great job bringing you into a world that explains why Neil Armstrong was selected as the first but I still feel like there is more to understand. Maybe that’s what the book was trying to say. 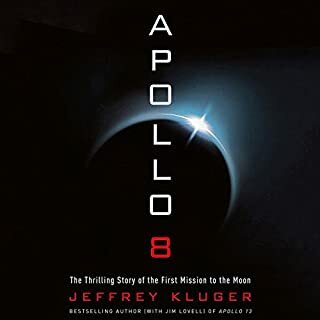 Really enjoyed this book, it's a nice mix of Neil and the whole space program. 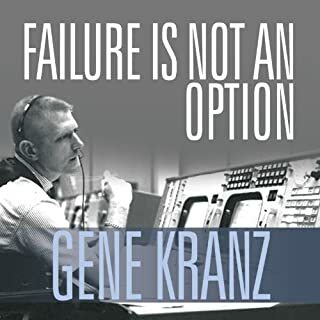 The author spends time painting the picture for how a man from a small town ended up being the first human to walk on the moon. Recommend this book to anyone that want to know more about the man himself who few people actually got to know because of his personal nature. Nothing influenced my life more than the early NASA programs, especially the Apollo missions. I still remember myself as a young 8-year-old, watching the moon landing along with the rest of the world. I was the perfect age upon which this historic event would ensure maximum impact. A fond memory is going outside with my Dad and looking up at the moon and wondering if we could see the light from the craft circling the moon while Neil and Buzz where on the surface. I was in awe. Surprisingly, these events did not inspire me to be an astronaut but rather the awe of the universe sparked my curiosity and desire to become an astronomer. Even at eight years old, I was voraciously reading every astronomy book in the adult section of the library. I memorized planetary data like sport stats on my baseball cards. I subscribed to Sky & Telescope magazine to keep appraised of the latest news in the space program and astronomy news in general. The following year, for my 9th birthday, I received the best birthday gift of my life—a telescope. I cried. I wanted that more than Ralphie in the movie, A Christmas Story, wanted his Red Ryder BB gun. I used that thing at every opportunity to check out the universe and witness astronomical events no matter the time of day. I was ecstatic. I was gaining astronomical knowledge and I had the tools. I was on my way to becoming an astronomer! Time passed and I eagerly awaited my time until I could go to high school to learn more about astronomy and take physics sophomore year. I knew physics was required for an astronomer and was already looking at colleges to see where I might like to go to get my degree. Life was good. Then came sophomore year and physics; followed by the end of my dream. I had always been an “A” student except when it came to physics and geometry. I could not grasp working with vectors in physics nor theorems in geometry. While doing well in all other classes, I barely passed these two. I was defeated. If I could not handle high school level courses related to my dream, how could I expect to excel in those courses in college? In hindsight, I believe I gave up too early and should have attempted it again in college, but what did I know? I still view being an astronomer as my dream job but don’t get me wrong; my life has turned out pretty darn good. I have a wonderful, healthy family and we are happy and comfortable. I have upgraded my telescope over the years and have maintained my passion for astronomy. Today I am among other things, a husband, father, son, brother, and. . . amateur astronomer. Don’t know why I wrote all this. Not your typical review or commentary but it was cathartic. Reading this book made all these wonderful memories come flooding back and that’s the impact of the book upon me. So, I suppose I just want to thank America and NASA for all the wonderful things they did in helping shape this former little boy’s life. Glad I listened, for the content, but the reader's voice and style was a poor fit for the style of the book. Really wish I could have listened to someone else read it. Neil Armstrong: A Life of Flight, is wonderful! A great book about a True American Hero! I enjoyed the author's reading. Very enjoyable listening. an enjoyable listen. maybe a little too one -sided, but interesting. i wish i would've listened to this before visiting the space facility and museum in Houston. Riveting, historical account. . . I loved this book. one of the best accounts of space pioneering. fascinating account of the first man to walk on the moon.